Nine hundred dollars. That was all she needed to remain in school. But Darlene Albert Knott just didn’t have it. That was back in 1969, when she was a sophomore at SIU. Knott grew up in the small town of Mulberry Grove, Illinois in a farming family of five children. While the family always had food on the table, her parents didn’t have the extra money to continue her education in Carbondale after her sophomore year. And for her father, debt was something to be avoided. It was a setback – though, thankfully, not a permanent one – for an intelligent young woman who made good grades in high school and impressed her high school math teacher so much that she encouraged her to apply to SIU. She did – and, with a loan of $1,800, she arrived in Carbondale in 1967. “My parents basically just dropped me off in front of Bowyer Hall in Thompson Point, and there I was,” she said. “I knew no one – and, coming from a tiny, rural area, I thought Carbondale was this huge city. I met all types of people from other cultures and countries, and it was magical. Mark Knott, a Saluki patrol student at the time, recalls how he met his future wife. The Knotts agree that their professors at SIU made a tremendous impact on their lives. “They were so passionate about what they were doing, and they took a genuine interest in the students,” Darlene Knott said. “I think that’s why SIU remains so near and dear to our hearts; it’s because of the influence of our professors. The couple married in 1970, and Mark Knott soon was drafted into the Vietnam War. By carefully saving their money, the Knotts returned to SIU and earned their degrees in 1975. They experienced successful careers in accounting and in securities brokerage firms until both retired to pursue a shared passion for travel. They have visited all seven continents, and their favorite destination is Africa, which they have visited 10 times. “Our college educations transformed our lives, and we believe that education is the key to success and opportunity,” Darlene Knott said. “I look back at my life growing up in a rural community, and kids just weren’t encouraged to go onto college. Mark and I want to change that, so we created a scholarship for students in the Mulberry Grove area to receive an SIU scholarship for four years of room and board. 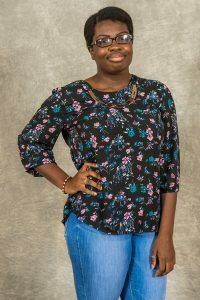 Stella Uzoewulu is a freshman pre-medicine student specializing in physiology with plans of becoming a pediatrician. Why did you choose SIU? I came to Southern Illinois University because it had an amazing science and research program. I knew that SIU would be able to prepare me for medical school and for life after college. How did you feel when you received notification that you received the scholarship? I felt incredibly honored to receive this scholarship because any money that can help me further my education is greatly appreciated by me and my family. What does the scholarship mean to you and how has it enabled you to pursue your goals? Growing up in a low income, single parent household, I was always taught from an early age that money was important and but always scarce. This scholarship shows me that through hard work and dedication, you can achieve your goals. With this scholarship, my mother now has one less thing to worry about and can relax a little. It has also enabled me to remain at SIU and has further encouraged me to never give up on my goals for the future. What inspired you to choose your area of study? I want to become a pediatrician because I know that children in low income families don’t always receive medical care. I want to work with these children in low income areas and give them access the care they need. Do you have a message you would like shared with your donor? I would love to thank everyone who has made this scholarship possible. It is an honor to be given this scholarship. My family and I are very grateful. Laurie Achenbach has dedicated her professional life to science and SIU. On March 1, she strengthened that commitment by donating $10,000 on SIU’s inaugural Day of Giving. 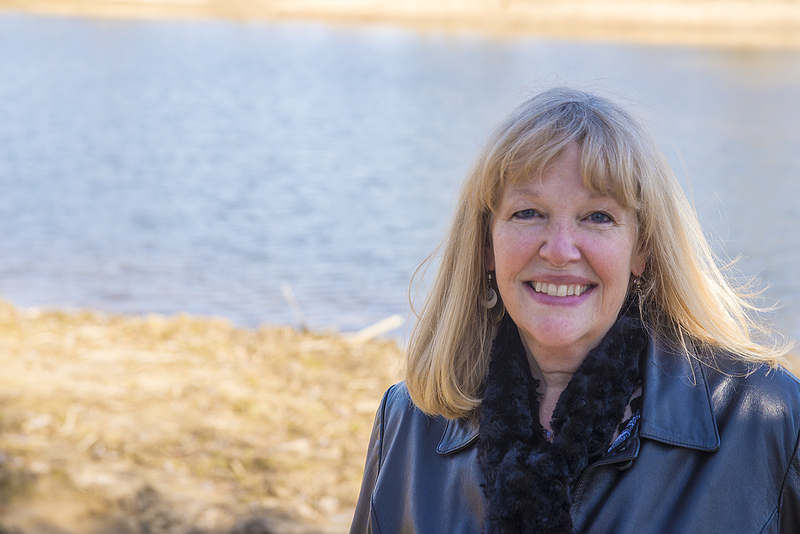 Her generous gift was the first individual donation on the Day of Giving and was directed toward the Campus Lake Beautification Project. She challenged others to join her in the effort to restore and enhance one of the preeminent landmarks on campus. Her donation will be used for an illuminated boulder, which will sit prominently in the water and be known as Achenbach Rock. The name will have special meaning to Achenbach, who said her siblings joked about having a male child and naming him Rock Achenbach. “So this naming opportunity kind of made our collective family wish come true,” she said with a smile. This isn’t the first time Achenbach has made a major donation to the university. In 2011, she created an endowed scholarship in her parents’ name as a way to honor their devotion to the importance of education. Achenbach came to SIU in 1990 as an assistant professor of microbiology. She steadily rose through the ranks, serving as associate dean before being named dean of the College of Science in 2014. Grateful for the opportunities the university has afforded her, she thought it was important to make a lasting impact. 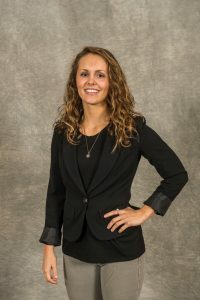 Chelsea Coursey, director of development for the College of Science, said it sends a powerful message to members of the SIU community when they see such a positive example. “Dean Achenbach is a thought leader on campus, and she serves as a powerful influence,” Coursey said. Achenbach urged others to join her in sharing their collective passion for SIU. CARBONDALE, Ill. – Thanks to hundreds of donors, Southern Illinois University Carbondale’s inaugural Day of Giving was a resounding success. During the unique 24-hour fundraising campaign, which took place March 1-2, donors were invited to directly support an area on campus meaningful to them. The campaign has raised $341,121– shattering the initial goal of $150,000. The SIU Day of Giving website, showing present totals and where funds were donated to, is at https://siuday.siu.edu/. Jim Salmo, vice chancellor for development and alumni relations and CEO of the SIU Foundation, said the funds donated will make an immediate impact on the areas designated by donors. Another purpose of the campaign was to also attract new donors, he said. Rebecca Renshaw, who oversees communications for the SIU Foundation, said students played a pivotal role in the event’s success. Information booths were set up at Morris Library, the Student Center and in the Faner Hall breezeway. A video highlighting campus lake produced for the Day of Giving had nearly 100,000 views, she said. 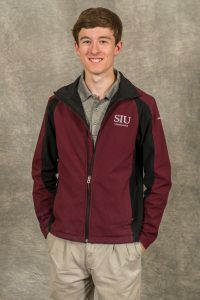 Renshaw said that a student who was listening to a presentation at Morris Library told her, “I just want to give back to SIU.” The history major, who didn’t give his name, then opened his wallet and donated the only bill he had — $20 – and walked away. “It was really moving,” Renshaw said. The event would not have been successful without more than 70 ambassadors, including about 40 students who shared fundraising progress and messaging on various social platforms. Students who called alumni raised more than $6,000 over the 24-hour period, she said. Of the 1,334 gifts, the largest total amount from multiple donors, $106,105, was raised for campus lake. The participating group with the greatest number of donors was the SIU School of Law. 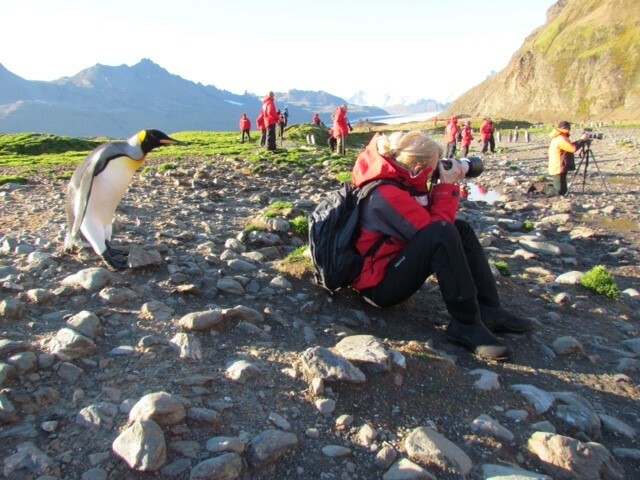 Hannah Dhom is a senior studying civil engineering with an environmental specialization. Why did you choose SIU? I chose SIU because of close proximity to family and home. It is a beautiful location with numerous academic opportunities. How did you feel when you received notification that you received the scholarship? I was overwhelmed with joy! I may have done some dancing after opening and reading the contents of the envelope. Then I called my mom with the great news! What does the scholarship mean to you and how has it enabled you to pursue your goals? It means more than any dollar amount. This scholarship means continuing a dream I have long awaited to reach and surpass. And with the help of such generosity, I am now just over a year within reach of that dream! What inspired you to choose your area of study? Music has been the thing I have devoted my life to. I have been studying since I was 8 and put in hard work for 10 years. I had been unsure of my major until halfway through my senior year. I had been told by professors at Blue Lake Fine Arts Camp that music could be a possible career choice for me. During my freshman session at the academy, I outperformed 57 other percussionists and was awarded the top spot. What achievement in your life are you most proud of? It’s a pretty simple answer. I love math and the environment! Do you have a message you would like shared with your donor? I am beyond thrilled that I got to meet the two wonderful people who personally created the scholarship I received. One of the greatest impacts of my college career was an unexpected contribution from two people I had never known. Receiving this scholarship is one of the kindest, most endearing acts I have ever experienced! A huge heartfelt thanks is always sent your way. Luke Shaffer is a freshman from Michigan studying music education. Why did you choose SIU? I had a wide college search of universities in the Midwest. I wanted a public 4-year university with my program of study, Division I sports programs and a marching band. Part of me wanted to move states, and still have a campus I could call home. When I visited SIU as a guest of the Marching Salukis for a football game, I instantly saw myself as a Saluki. I loved campus, including the music buildings Altgeld Hall and Shryock Auditorium. I also liked that SIU is a big enough school to be Division I, but not so big that it seemingly swallows me. Being from Michigan, I don’t think of myself as an Illinoisan but I am, without a doubt, a Saluki. How did you feel when you received notification that you received the scholarship? I was very relieved. Money was an issue for me going to school. I’m very glad I got the assistance I needed. Even though I still need to budget and watch my finances carefully, the scholarship gives me the boost I need to be able to have a zero balance every semester. What does the scholarship mean to you and how has it enabled you to pursue your goals? It means I’m able to go to college. I’m not sure I would be at a Division I school like I wanted if I had not received this scholarship. Without my college degree, I could not be able to pursue my goal of being a music educator. What achievement in your life are you most proud of? I’m most proud of my acceptance letter from SIU School of Music. I had put my whole life into music and in that letter saw the possibility of making music for the rest of my life. The letter was the doorway from “before college” to get to “after college”. Do you have a message you would like shared with your donor? Thank you so much for not only creating the scholarship to help college students in need but also for choosing me to receive it. It warms my heart to know that somebody believes in me and thinks that what I’m pursuing is worthwhile.